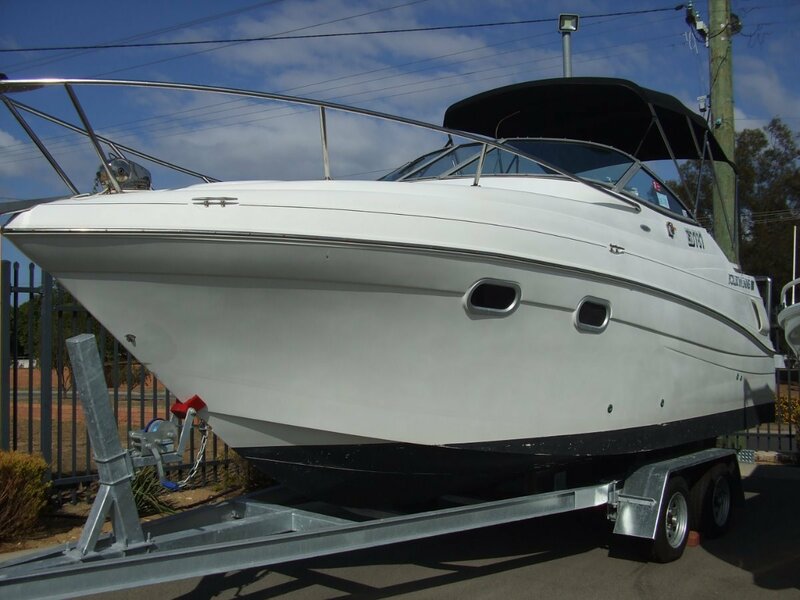 This awesome 248 Cruiser is packed with options and makes a great Rotto weekender that's outstanding value. Powered up with a Volvo 270hp stern drive with a Duo prop leg, there is plenty of power and economy. The double helm and full wrap a around rear lounge offer seating for up to 10 but 8 is more comfy. Also the extended swim platform doubles as a fishing station complete with rod rack and safety bar with bait board. The cabin is plush with sleeping for up to 5 and has a galley and walk in head. There is abundant storage and loads of shade along with clears and storm sheets. This package offers excellent value and can not be missed. New Jinker galvanised trailer with full suspension. Can be registered but will need brakes and lights fitted. This 248 can be left in the water, on hard stand or trailered with some trailer upgrades.